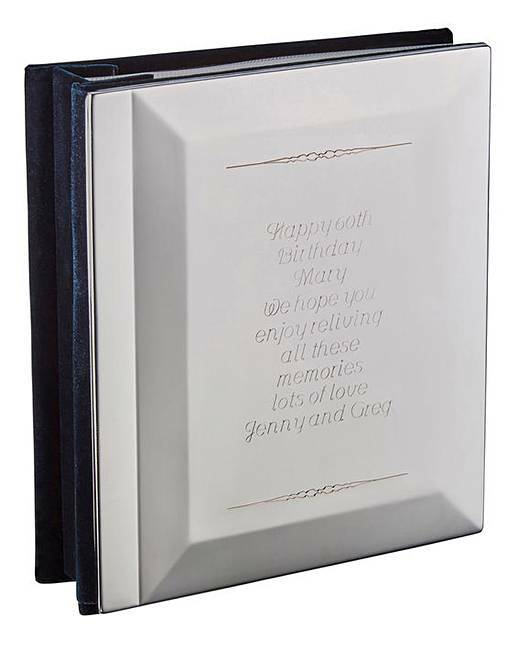 Personalised Silver Finish Photo Album. An elegant white bronze 4 x 6 photo album from Impressions by Juliana. Complete with luxury cushioned black velveteen lining and 80 individual sleeves. Personalise with a message up to 60 characters.